For those of you who don’t know, Super Smash Bros. for 3DS will be officially released in Japan in a matter of days. Even though there have been some huge leaks in the weeks leading up to its launch, Sakurai proves that he still has few surprises up his cheeky sleeves. 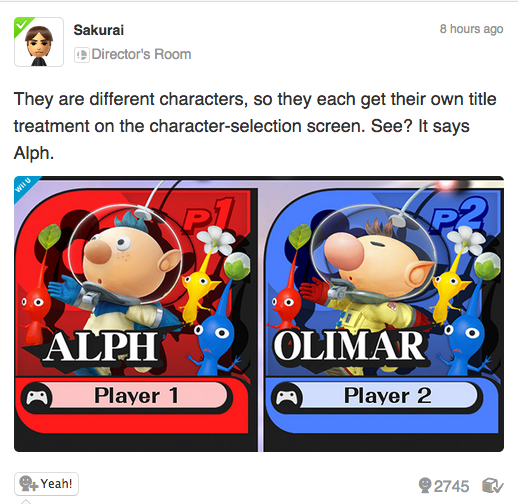 One of those surprises is that the protagonist Alph – from Pikmin 3 fame – will be a playable character. 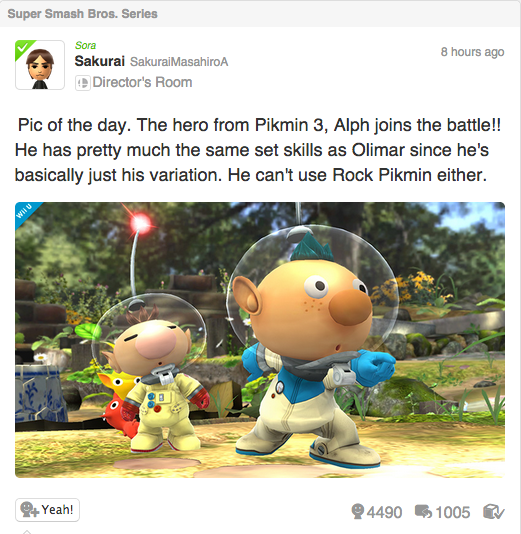 While he is a different character, he appears to be an alternate “skin” to Olimar and is expected to play exactly like the original Pikmin hero. Considering, however, that Sakurai would go out of his way to give Alph is own identity proves that the Super Smash Bros. developer is finding new ways to include as many characters into the roster as possible. Could more of the roster be getting alternative characters too? What do you think of the inclusion of Alph? Will he be your main? Let us know in the comments below. David Rawlings, or ‘Rawky’ as we like to call him, joined the Operation Rainfall Campaign at the beginning. He’s British and found solace with us as he was able to understand our pain about Nintendo and their localizing faux pas. He’s a big fan of the letter ‘U’ and refuses to remove them from words, even though we constantly ask him to. He also believes it’s about time Princess Daisy got kidnapped.